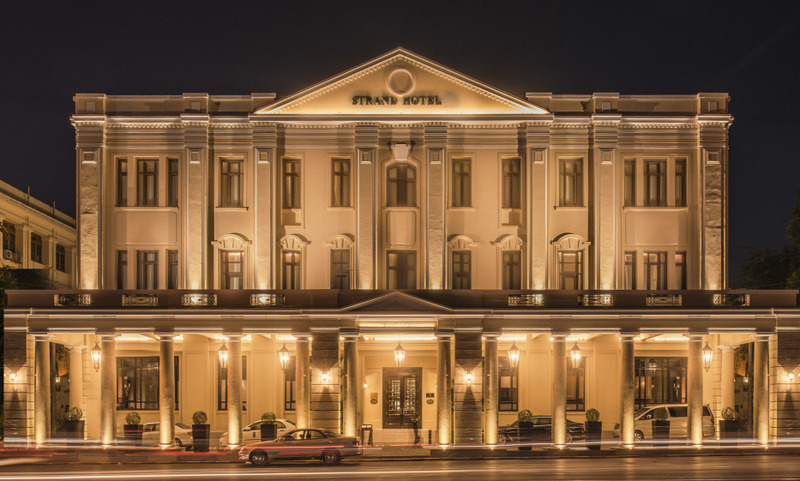 The three-storey, Victorian-style Strand hotel is located in the heart of the city. Its colonial charm is apparent in everything, from the rattan furniture to the chandeliers and the black-lacquered ceiling fans. Each of its airy suites combines the resplendence of a bygone era with all the modern conveniences you could wish for. The Strand Grill dressed with large black-lacquered prints from Bagan. The famous Strand Bar, one of Yangon's most popular watering holes for the past century.